Tata Motors is developing a premium hatchback that’ll take on the likes of the Maruti Baleno and the Hyundai i20 Elite. The car, codenamed the X451, is currently being extensively tested on Indian roads, ahead of its 2019 launch. The X451 hatchback is likely to be shown as a concept at the 2018 Indian Auto Expo. 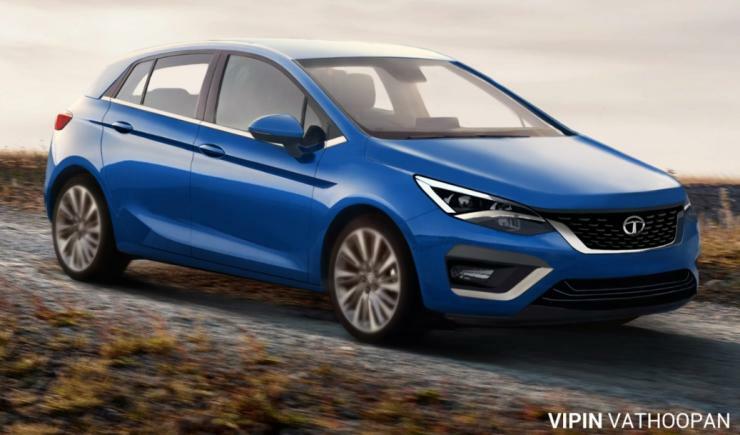 Meanwhile, here’s a speculative render that shows how it’ll possibly look like, when launched in the Indian market as a production model. CarToq reader Vipin Vathoopan came up with this beautiful render. Notably, the X451 will be built on an all-new modular platform (AMP or Advanced Modular Platform) that Tata Motors has developed for a range of future cars. The X451 will be the first AMP car to roll out in India. AMP will form the backbone of budget cars from Tata Motors for the next few years. It’s expected to involve engine, platform and wheelbase sharing. A new C-Segment sedan will follow the X451 hatchback. Other details of the X451 premium hatchback, including the engines and transmissions it’ll use and the features it’ll offer remain under wraps for now. It’ll be safe to presume that Tata will build this car with upcoming BS6 emission norms in mind. This drives us towards turbocharged petrol and diesel engines, and possibly even an electric variant considering how quickly the Indian market is expected to shift from internal combustion engines to battery power. Manual and automatic gearbox options are givens, with the latter likely to be a conventional automatic or a CVT rather than the cheaper (cruder?) AMT. Refinement levels are high, on both the Baleno and Elite i20. A buyer of this class of cars expects refinement and sophistication, and that’s something only CVTs and conventional torque converter automatics can offer, at least for now. Tata will have to match or better the Baleno and i20 if it intends to wrest some of the premium hatchback market in India, currently at about 30,000 monthly units and with plenty of room to grow.